Hi there! Sorry for the long lapse between posts. I am in a very transitional stage of many things in life, and I am having a hard time balancing it and finding time to post! Yes. When I said I am planning to go back with my best friend, that means you. 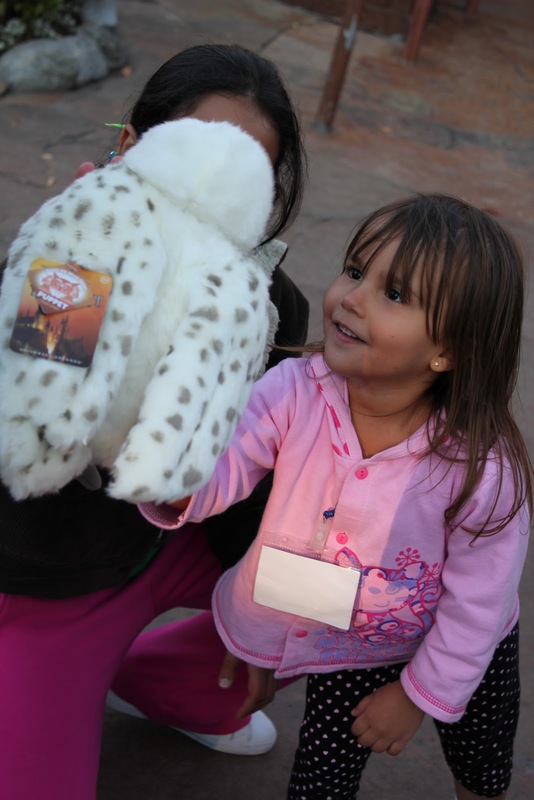 And we will buy all the wands and scarves and owls our little hearts desire. Daphne wanted to know where it is: Orlando, Florida, within the Islands of Adventure park that is a part of Universal Studios. Whew! That was a mouthful! LC asked what butterbeer is made from and if it is alcoholic. To start with, it is not alcoholic. I was under the impression that there was both alcoholic and non-alcoholic butterbeer but I was wrong! However, it is delicious! 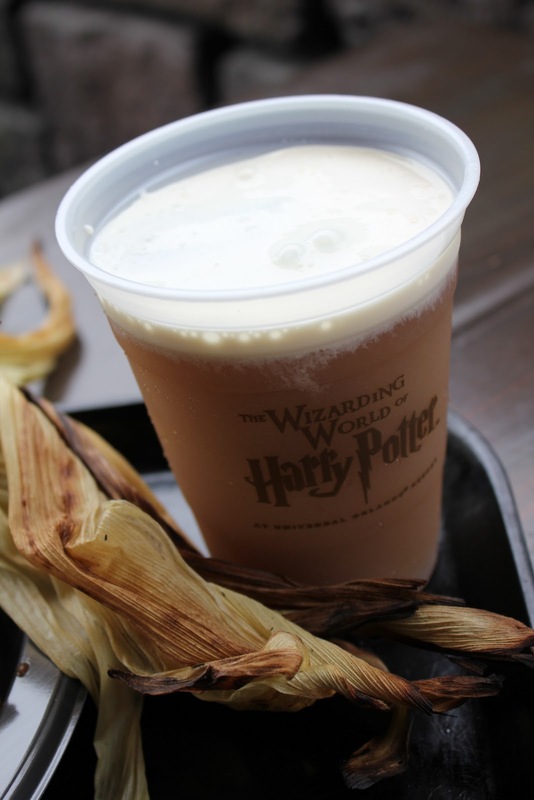 I have no idea what exactly is in it, and Universal Orlando will not share the closely guarded recipe. Universal has implemented special security procedures to protect the details, in fact. But it tastes like butterscotch mostly. It is smooth and rich and amazing. The top part that looks like head is actually is a thick whipped cream that tastes like butterscotch and vanilla. Simply put, it is the best drink ever. And you can get it cold or frozen! We tried each one and both are delectable! Lastly, I wanted to share my pics of Kevin and Hedwig with you. We spent two days at Harry Potter Park, one of them being our very last day of the trip. Needless to say, after 7 days of non-stop walking, sigh-seeing, picture taking, roller-coasters, and no sleep, we were pretty exhausted. We decided to take a break and just sit and people-watch. Well, I bought this AWESOME Hedwig puppet that has a very realistic look to him at first glance. Plus, his head is on a lever that can twist so you can manipulate his head to turn like a real owls. Soooooo...Kevin sat with that owl and made its head follow people. He would look forward to make it look more real and he would catch peoples' attention, do a double take, then follow them with Hedwig's eyes and do it all over again. We did this for sooooo long! It was so entertaining! And I love that Hedwig puppet so much! It is the coolest and softest plush ever! And for good measure, here is the cutest picture ever! Ok, the Hedwig thing is HILARIOUS! 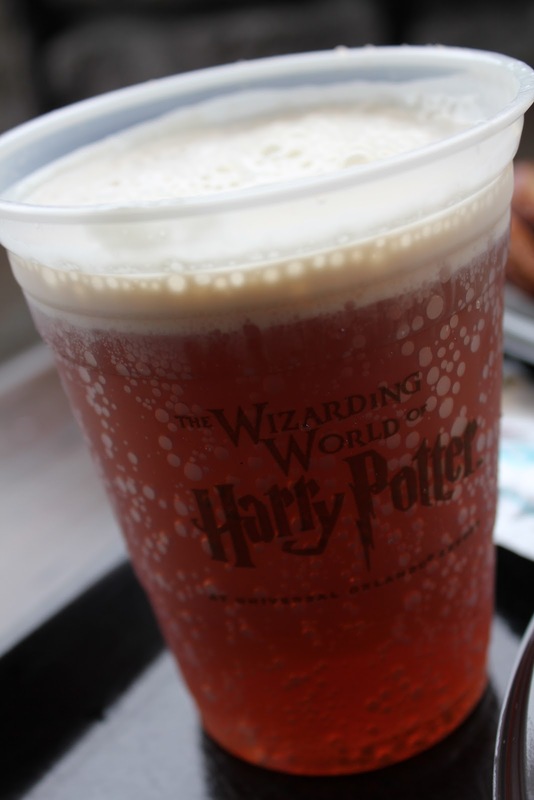 And I really want to taste Butterbeer because I heard that it really is amazing!! so cute and awesome! I really wanted to get the hedwig puppet, but I just got the crookshanks plush instead. Thank you for answering my question! I did some research and found a bunch of different recipes online that people have made up, both alcoholic and non, although none of them are the Universal Studios recipe. I may try and make it at home, since I won't be able to afford Harry Potter World for awhile. Your pictures inspired me to start saving though! :D Amazing! I'm so jealous! I want to see the Hedwig puppet's face!